Sina Weibo, China's answer to Twitter, conceded Tuesday that user growth has been slowing. The social networking platform, however, dispelled reports that the company was seeing its user base decline as a result of a government crackdown on online rumors. The site boasts over 300 million registered users, with many of them from mainland China. But while the site has gained a reputation as one of the hottest Internet products in the country, research from an Internet regulator in January pointed to a possible decline in its popularity. At the end of 2013, users of China's microblogging sites fell by 9 percent year-over-year, according to the China Internet Network Information Center (CNNIC). Two weeks later, The Telegraph newspaper released research that showed that the number of active users on Sina Weibo may have plummeted by as much 70 percent last year. The study examined the activity of 1.6 million users. The reports came as Sina Weibo has been facing competition from WeChat, a Chinese mobile messaging service that also boasts 300 million users. In addition, local authorities have regularly launched campaigns to clean up so-called "rumors" on Sina Weibo. The harshest measures have included arresting users guilty of allegedly fabricating fake content. Despite the challenges, the social networking site's operator, Sina Corp., said on Tuesday that use of the microblogging service is actually going up. From September to December, daily active users grew on Sina Weibo by 4.2 percent, reaching 61.4 million. During an earnings call, Sina CEO Charles Chao suggested that it were rival Twitter-like services in China that contributed to the decline in microblogging use. He estimated that there were over 20 different such sites in the country. As for the third-party reports on Sina Weibo's falling user traffic, Chao said the company's own figures were more accurate, and compiled from the entire user base. But while Sina Weibo may still be attracting traffic, its user growth rate is on the decline. The 4.2 percent increase in daily active users from September to December is the lowest quarter-over-quarter growth rate Sina Weibo has seen in its history, Chao said. "There is no question the user base growth is slowing down," he added. 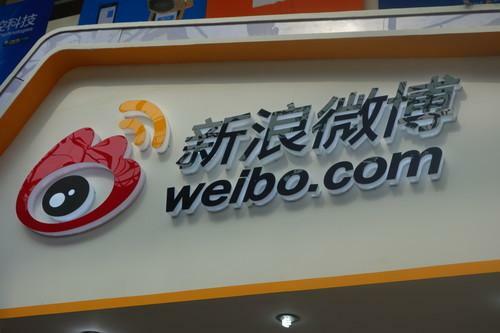 In response, the company is focusing on accelerating Sina Weibo's user growth this year. It has already found some success in partnering with local TV programs to promote the microblogging service, Chao said. "So far it has been working." he added. "We are seeing a lot of hope that we can continue to grow our use base and user engagement if we do things properly."